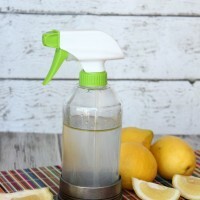 I’m so excited to share one of my favorite ways to clean my kitchen! Dish soap. We all have it. We all use it. Right? Kick the ugly plastic bottle and trade it in for one of these beautiful DIY nautical dish soap bottles instead! It is a great way to take your sink from bleh to chic! 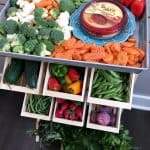 They also make fantastic housewarming gifts! You can whip these up in a few minutes and they cost just a few dollars to make! The kitchen is definitely the one place I spend the majority of my time each day. Between cooking three meals for my family of six, preparing snacks during the day, making the kids lunches and all that goes on in the center of the house, the kitchen, there are a lot of messes to clean up! 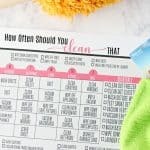 It feels like washing dishes and scrubbing surfaces in the kitchen never ends! So what better way to pretty up your sink than to add some flair to the one thing you use most often? Dish soap! 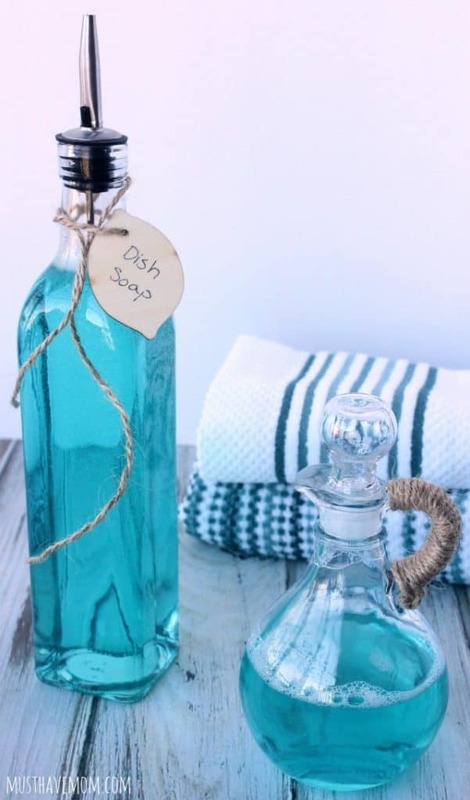 Pick up a bottle of your favorite colored dish soap. I loved this beautiful blue that reminded me of beaches. Pick up a bottle or two. Then head over to the kitchen department to find the glass bottles like the ones I used here. I grabbed an olive oil bottle and a curet to use for my dish soap bottles. They were both just a few dollars so this is a really inexpensive project. You’ll also need some brown jute twine which comes on a spool. You should be able to find that at Walmart too otherwise your craft store will have it. I also grabbed some cute little wood tags for mine so I could give it as a gift! Begin by wrapping the jute around the base of the handle. Tie a knot and then continue to wrap the handle. Wrap the jute until it covers the entire handle. Then secure a knot at the end and trim off the excess jute. Then your bottle is finished! If you are giving it as a gift then tie a wood tag on it with a strand of jute twine. I love this type of dish soap bottle for easily pouring the dish soap in the sink when hand washing dishes or creating a sink of soapy water to scrub down cupboards and appliances with. For quick rinses before my dishes get loaded in the dishwasher I prefer the olive oil style bottle because it will dispense just a little at a time onto my sponge. 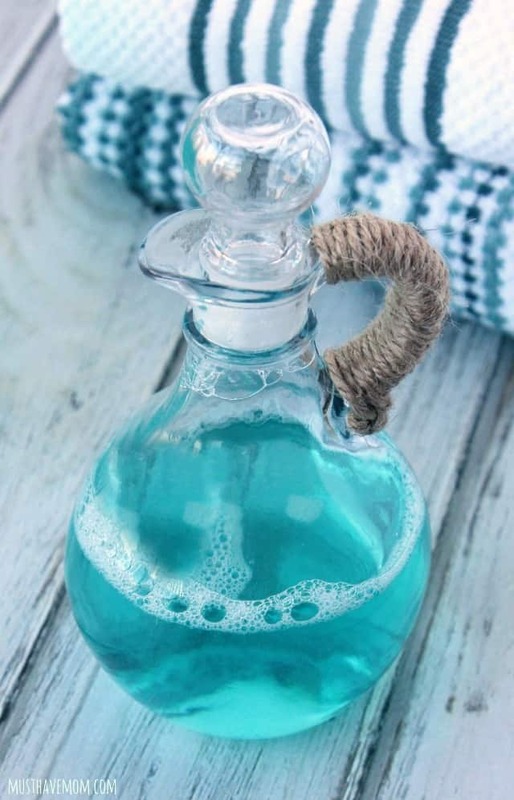 It’s perfect for prettying up your sink while keeping your dish soap close at hand! For this bottle I simply tied some jute twine around the neck of the bottle and secured my wood tag on it. 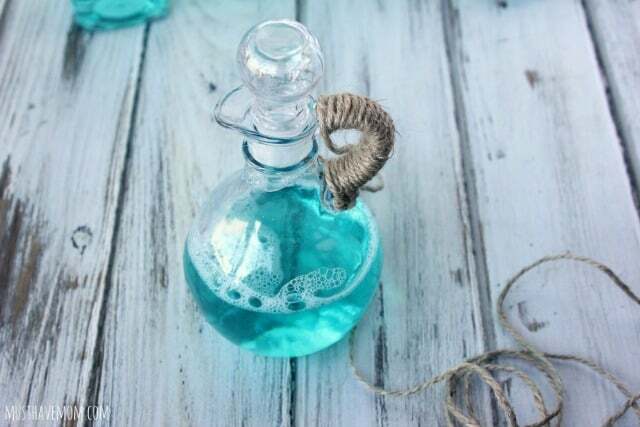 You could also go one step further and tie a circle around the neck of the bottle and run several strands down the side of the bottle and knot them together to wrap the bottle. For practicality purposes I like to keep it simple so my bottles stay clean and pretty! Make a few of these and keep one for yourself and give the rest as gifts! These are perfect gifts for new neighbors, Mother’s Day, Easter, hostess gifts, etc. Everyone appreciates a prettier sink! We spend a lot of time at the sink so why not make it pretty? What is your favorite way to make your kitchen both functional AND pretty? What a simple but beautiful gift idea. Perfect for my daughter’s teachers. Yes, this would be a great teacher gift idea! Useful and pretty! This is such an awesome idea. I love how they came out. That’s such a cool idea and the colors really work! I’d love to make everything in my kitchen both pretty and functional. Yes, pretty and functional is a MUST in the kitchen! These came out so beautiful! I love the blue contrasted against the burlap and glass! Thanks Amy! I am just loving the color combo as well! Okay, those are so super-cute. I love this idea. It would be perfect for our beach house. Thanks so much for sharing. I really like that Palmolive can be used on multiple surfaces. I have so many different spray bottles for cleaning my counters and stove. It will be nice to condense all into just one product. It’s such a great way to de-clutter under the kitchen sink! Needing only one cleaner cuts way down on how many products I store under there! 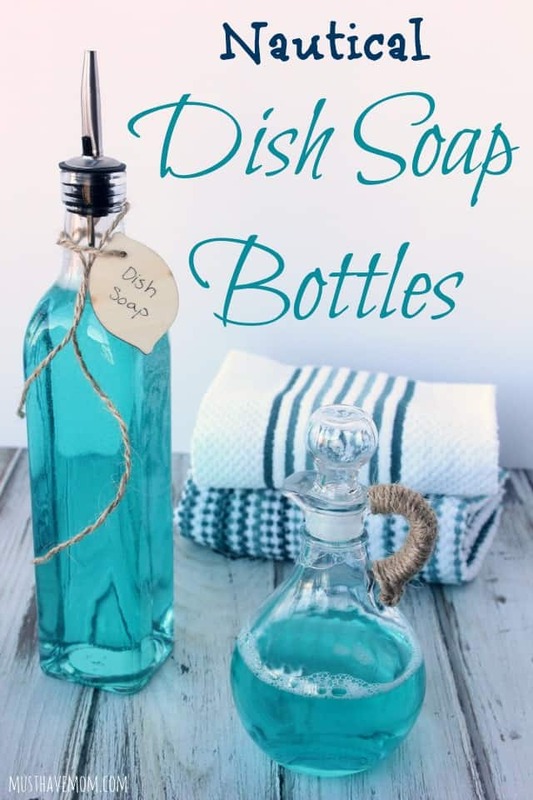 Ok now that is a way cool way to turn ordinary Dish soap into chic home decor! 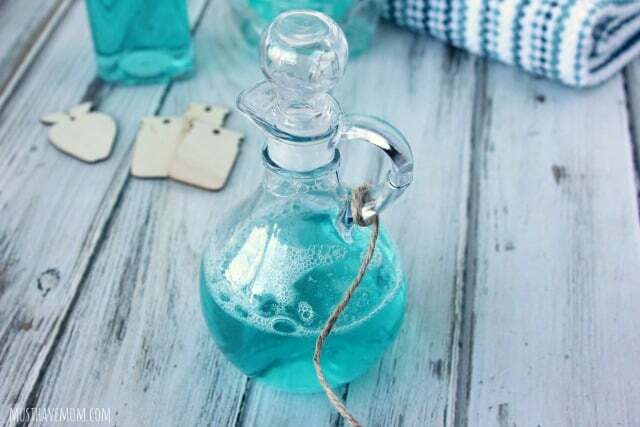 I am in love with those Nautical Dish Soap bottles! So classy! Thanks Amber! I’m a big fan of EASY decor! Thanks Laura! I bet your friend would love these! 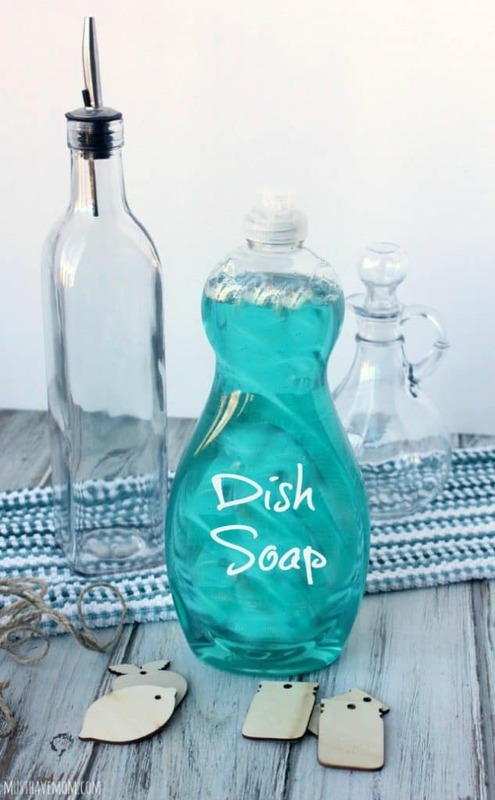 I absolutely love the dish soap bottle! It looks beachy and cool! I have to agree that I love the beachy vibe! I love the look of these, so pretty! One would look great in my guest bathroom! Oh a guest bath is a great idea for these! So pretty! These are so great. They are so cute and creative. I want to make some for myself now! Love it! They are so easy too! I would love to see how yours turn out! OMG. This is genius. It looks so pretty, decor and functional. Thanks Nancy! I’m glad you enjoyed this decor idea! Oh my goodness this project is super cute and so easy! I just love it! Thanks Kelly! I love how effortless it is with such beautiful results! I can’t keep my kitchen clean let alone pretty LOL. I love the oil bottle idea…so cute! LOL well what mother can keep up with the kitchen? That’s a cute idea! I have a friend whose kitchen is nautical themed. I might have to make one of these for her. Oh this would be so cute in a nautical themed kitchen! How perfect! Yes, it is the perfect color! The olive oil bottle makes for a great dispenser too!